Back in September, we wrote about an airline that operates entirely Business Class flights, La Compagnie. They are a bespoke airline that caters to the business traveler and up, with only one route between Paris and New York. They operate a fleet of Boeing 757’s and they are soon getting A321LR’s delivered. Today, La Compagnie has announced a new route between New York and the French Riviera paradise of Nice! La Compagnie, founded in 2014, is a small airline that only operates business class planes. We have seen this a few times before, such as British Airways route BA001 (London City to New York) and the Lufthansa Frankfurt to Pune, India flight (Also known as the worst flight in the world). La Compagnie operates two Boeing 757-200s, but are upgrading them to Airbus A321LR’s by the end of next year. As the entire cabin is business class, La Compagnie actually makes a fair amount of money per trip (if their cabin is full) and has been rather successful. Whilst their soft product is not the most amazing in the world, they are able to competitively price themselves against full service and steal corporate customers (especially those who are looking to make the leap up from premium economy). We target the business clientele, especially those at trade fairs and congresses, but also American leisure passengers as well as French expatriates who come home for a family holiday and wish to travel in the best conditions – Jean-Charles Périon, Head of Marketing at La Compagnie (Translated from French). Business travelers can buy a $40,000 a year pass to fly on any flight as many times as they like (just like an unlimited turn-up and go ticket). Some criticism has been raised of the airline, stating that its growth is highly limited to routes that have a lot of frequent business travelers. However, this new route is anything but! What is the new La Compagnie route? The new route will fly between Newark Liberty International Airport (New York, USA) to Nice Côte d’Azur International Airport (Nice, France). The route will only fly for the summer season 2019, starting from May 5th till the end of October. The frequency will be five days a week. The new La Compagnie route. The flight will take around 11 hours eastbound and 9 and a half hours westbound. As part of a promotion for this route, La Compagnie will be selling 1000 tickets for only €1000 EUR ($1,141 USD). Considering the only other airline that flies there direct is Delta (code shared with Air France), and they charge nearly $10,000 USD for Business during peak season one way (and $11,000 return), it seems these special tickets will be quickly snapped up. The Delta results for the same time period. 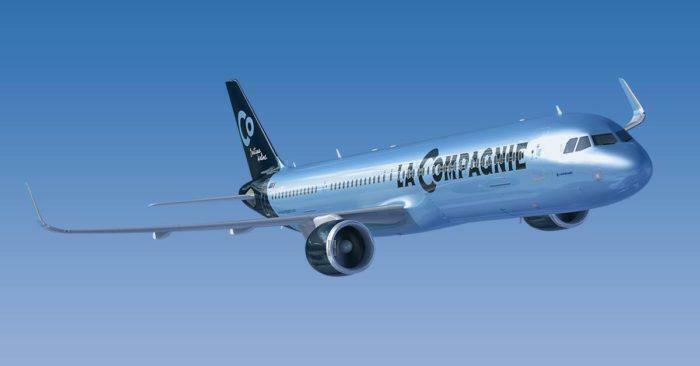 Will you be flying on the new La Compagnie route? Shouldn’t the eastbound flights be the shorter ones, not the way you have it in the article? It is appears to take longer than it should given the distance.